Hard to believe that another school year has come and gone already. Seems like just yesterday we were getting ready to start school and here we are, done and into summer. For some kids, this is the year they have been waiting for their whole lives. This year, they are graduating! I remember when I graduated from high school and how liberated I felt. No more school! But then...I started to think about college, which meant MORE school. HA! With graduation season upon us, whether it be high school or college, it is time to go shopping for the perfect graduation gift. It definitely is a harder gift to shop for, but one that could be remembered for the lifetime of the recipient. Founded in 2007, Jill-e Designs creates bags and carriers in smart and stylish designs for daily use, tailored specifically for digital and mobile devices. Today everyone has a mobile device, typically a device they can’t live without. They need a way to carry them, protect them, easily access them, and keep them organized with all of their other everyday items. We satisfy these needs. I am not a person who is on-the-go frequently, but every now and then I take my laptop with me or another type of device. So, it is nice to have a functional bag in which I can take them. 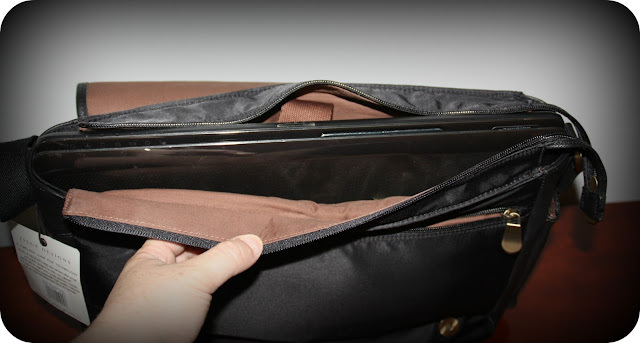 For this review, I was sent the JILL-E Sasha Laptop Bag. This bag is stunningly trendy and modern, and would make a PERFECT gift for any newly graduated woman! 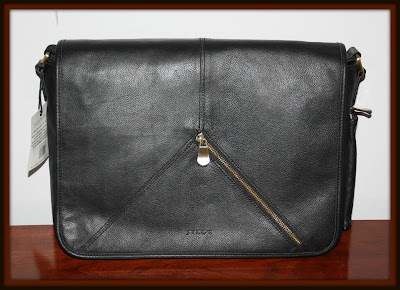 This particular laptop bag is messenger style and is made out of leather. It has a large, adjustable shoulder strap for easy carrying, which is nice. The interior of this bag looks very nice. 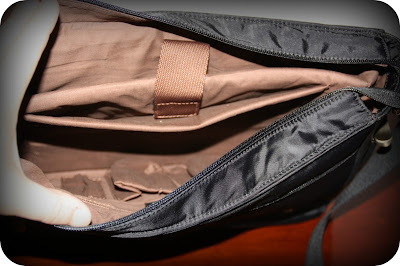 It is light brown in color and offers generous pockets and storage areas for your laptop, e-reader, iPad, phone, etc. There is a Velcro strap that can help to hold your laptop in place and there is also really nice padding surrounding the area in which you would put your laptop. I like how you can also have enough space for file folders and other paper documents you want to carry with you. On the end of the bag, there are handy zippered compartments for whatever you want to put in there. Water bottles, phones, ect. 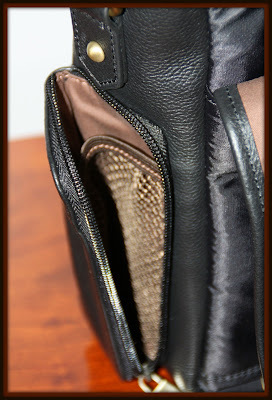 The zipper makes it nice because you can securely transport smaller items with out worrying about them falling out. I love a bag with lots of pockets and this bag definitely fits that description!! Now, I have a laptop that is slightly bigger than 15" so it was quite a squeeze to fit it into this bag. 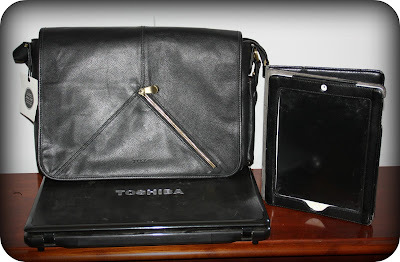 I know that there are much smaller laptops out there now so typically, this bag should be able to easily fit one. Even though it was a tight fit, it still fit so I was happy about that. This Sasha Laptop Bag will be wonderful when I want to take my iPad with me and don't want to carry this bag and my purse. I can easily convert this bag into a purse simply because it looks so professional and has lots of room for my wallet and other things. I can also use this bag for church as it will hold my Bible and church notebooks perfectly. So, if you are looking for a gift that will be practical, yet stylish, check out JILL-E and all of the wonderful products that they offer! 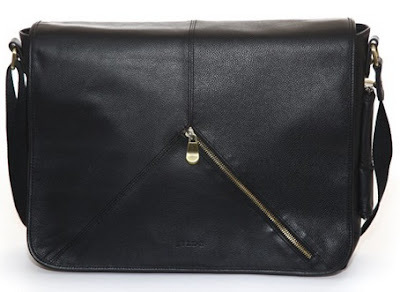 This laptop bag would make an amazing gift...it retails for $189 on JILL-E's website so be sure you check it out today. Also, make sure you stop by the JILL-E Facebook page and give them a tweet on Twitter...I am sure they would love to meet you!